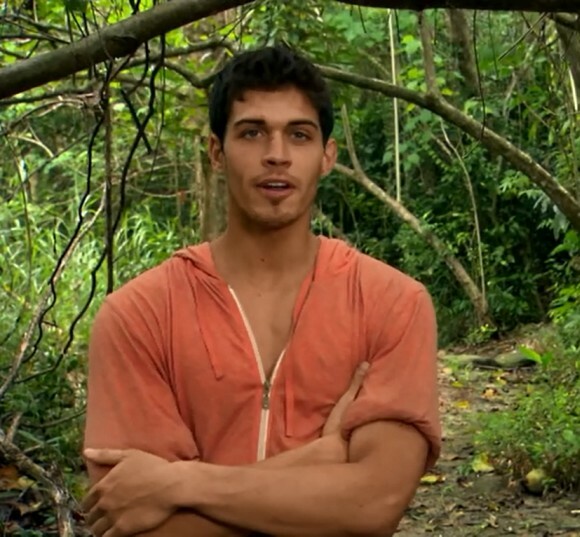 So Abi went crazy again, Pete is desperately trying to be funny and the leopard girl RC seems to be the victim. It's true that Tandang won some pillows but there isn't any pillow fights yet, not even hair pulling, thus why it's called little kitty fight. Abi and RC you're disappointing me. 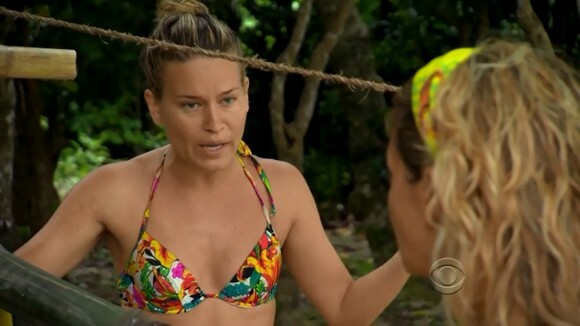 CBS are always editing things to make them more exciting and create some suspense, but I'm sure my editing is more accurate and straight to the point. 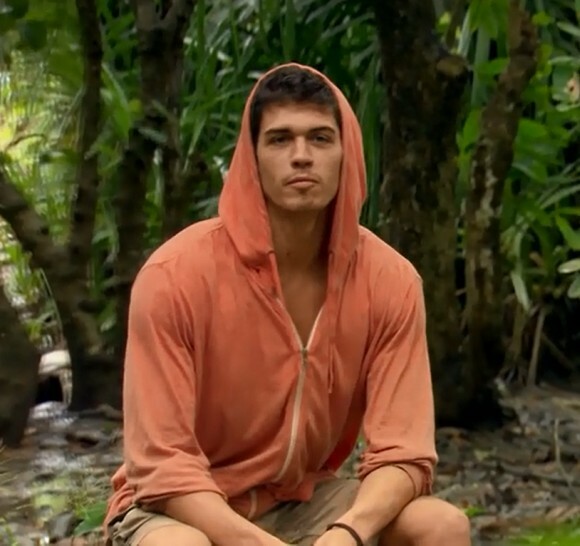 "I plan on creating a lot of chaos out here"
Stop stealing Russell Hantz's quotes and get your own identity. 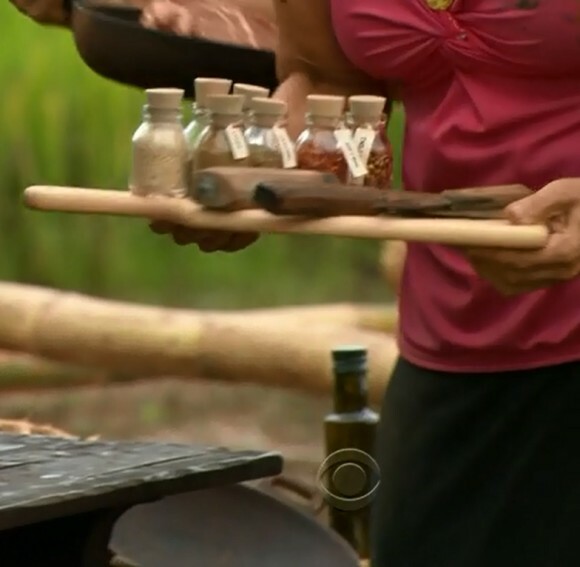 If I want to watch Russell Hantz I will re-watch Samoa. Abi Maria: "What is that under your bag?" Abi reminds me of those trucks on the highways carrying explosives. Just stay away! You never know when they will explode. Is it me or RC look super cute in the morning? "Maybe the rats brought it over"
I swear, when I was in the 4th grade, that joke made me laugh. "I certainly didn't put it there"
Judging by RC's smile, I think she's not worried at all because obviously everybody knows that Abi is crazy, including Abi. "RC didn't do anything, I was the one who put it there"
In normal circumstances I would be saying "Go Pete! ", but a guy wearing an orange girly hood is not someone that I can take seriously. "I warned her. I'm like, I'm a really loyal friend but if you mess with me you're dead." Apparently Pete sounds very interested in Abi's boring conversation. He had to close his eyes to fully concentrate. In other words, Shut up Abi, you keep repeating the same line everyday. You remind me of that little kid that once got an A, and his mom has been bragging daily about how he is the smartest kid in the entire universe. One plus one equal two, even the hobo in the subway that begs me everyday for a penny has it memorized. "I think it needs a little bit more salt, but you know me I'm a salty person." I just feel like nagging and ruining everyone's day. RC: "It's like a home cooked meal." Even if it tastes like dirt, RC will say it's like a home cooked meal, just to piss Abi off. I feel humiliated that a girl did better than me in the previous challenges, I don't want my friends back home to make fun of me. So I need to get rid of RC quickly and try to re-gain a part of my manhood back. "Do you want to talk at all about what happened yesterday?" Oh little RC, still has hope that she can communicate with Abi, how cute and nice is that! I personally haven't really heard Abi talking yet, she's always mad, going crazy or crying about her twisted knee (which is the result of all the hard work of doing a whole lot of nothing out there). "I have nothing to talk to you about, I'm over it, I moved on. You betrayed me, you broke my trust." 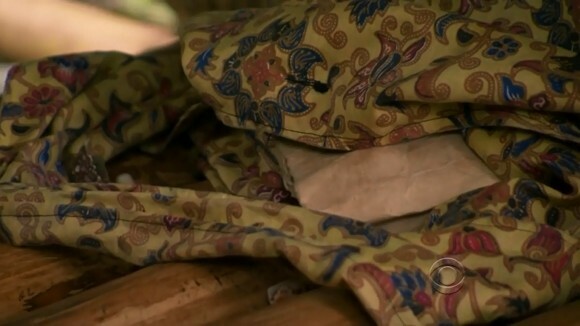 Yep it was RC that searched and found the hidden immunity idol without telling Abi. How dare she? "I thought I have Abi as my number two, I thought I have Pete." But I don't think that anymore. She's like too much, she's just like seriously insulting my intelligence right now. She's trying to freaking fool me. I'm not stupid. Yes you are, but I'm sure you heard it couple of times before. Oh God! Abi Please shut up and go away, your voice sounds like a cat getting raped outside of my house in the middle of the night. "Look at all those spices Abi, you're gonna go crazy"
But, but, but, I thought she's already gone crazy? Nope. It's just the beginning. Abi's craziness is like the space, it has no limits. This blog is hilarious. RC rocks, Pete can't handle a strong female, amd Abi is a loon. ps - i've tried to prove i'm not a robot 7 times now and the damn things not working. by the time its pasted that'll prolly be 10+ guesses. time to get a new 'not a robot' detector. crazy snake .. grr... ohhh hoo.. where the hell survivor find those people from ..?